The Postal Exam 473 is the most common test for anyone interested in applying for a job in the US Postal Service. Each test subject has several different questions. If the score you reached is not the required minimum score, you will be able to take the exam again, provided that at least 4 months have elapsed since the first test date and the Job in which you will be employed will be chosen by the employer. B. Error(s) in the Address part only. C. Error(s) in the Zip Code part only. D. Error(s) in both parts. Note that on the real test, you will have only 11 minutes to complete 60 questions. Examine the form below and answer the questions that follow. In the real test, you will only have 15 minutes to answer 30 questions, corresponding to five to seven forms. 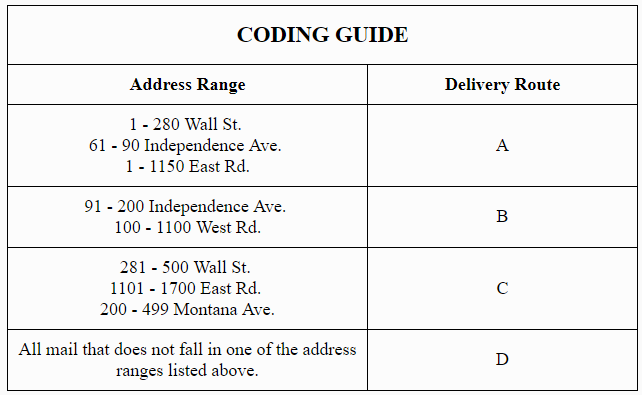 In this section, you will be presented with a coding guide of addresses and delivery route, and in each question, will be asked to assign different addresses to their correct route. While technically a simple task, you will only have six minutes to complete 36 questions. The task of this section is similar to the task of the previous section, with one crucial difference: you will not be able to use the coding guide for reference, but instead, will have to remember the addresses and their delivery routes by heart. You will have to memorize the guide during practice sections as well as during the coding section. What is required of me to apply? Go to the USPS official website and click Create Eprofile. Prepare your resume. Complete your application and employment history. You will then receive a proposal for various jobs in your area. How long will the score I get on the exam be valid? Your score is valid for 6 years if you have not started working at the end of the exam. The only way that you will be allowed to do so is if you agree to the position offered to you by your employer. You can only take another exam if it's been 4 months since the first test. You can choose to use your previous score or take the exam again. Why Prepare for a Postal Service 473 Exam? Is it worth getting ready for the US 473 exam? Proper preparation is what can make the difference between passing and failing. The test is one of the primary keys in the classification of candidates and determines the positions to which the candidate will be referred. 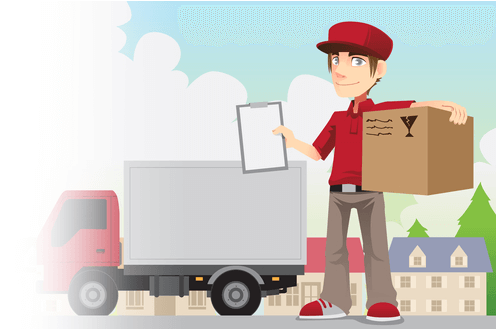 Among the related jobs, you can find various postal services such as distribution, shipping, among other positions. Although the USPS 473 is one step in the screening process, it is essential to get a high score to continue to be a candidate. Concentrate on issues where you feel you are less prepared. For example, the Encoding and Memory section can be challenging when the Coding section checks your ability to identify code assigned to an address. 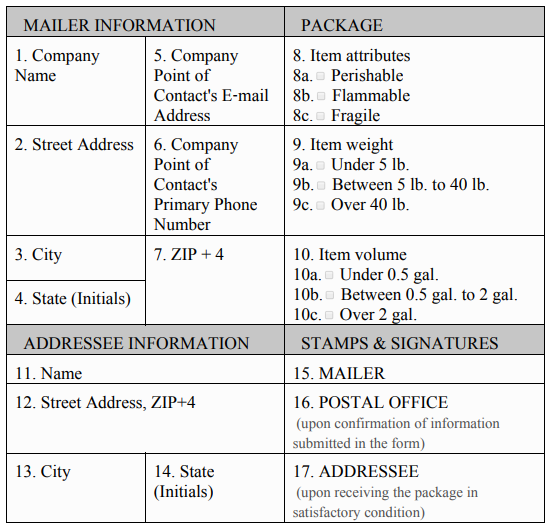 You'll need to use a chart of delivery routes and different addresses and codes to answer the questions. In a memory section, which is even more challenging, you'll be asked to find a delivery path for each address without looking at the map. Here, you will have to rely on your memory. Therefore, reviewing and understanding the content of the exam, practicing and developing some testing skills and knowing the number of exams and the time available to you in practice helps you prepare for the 473 exams of the mail and pass it successfully.